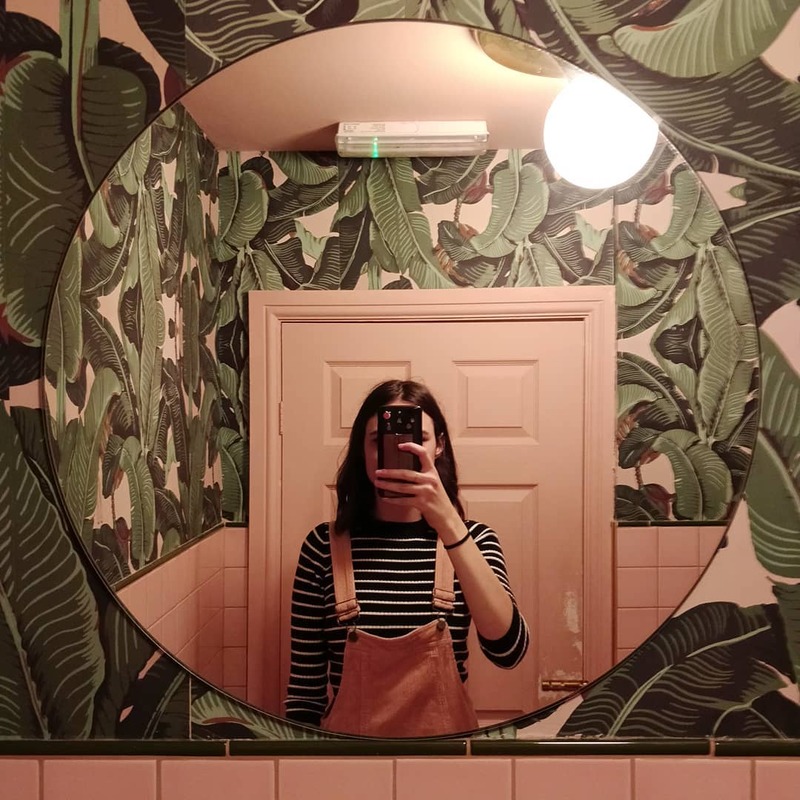 London is very Instagrammable city, and it doesn’t stop in the bathroom. We take great pleasure in a brilliant bog. Whether it has over-the-top decor, floral walls, stunning views or just a particularly great ambience, we are here for it. Here’s a little roundup of some of the London’s best. 9 Conduit Street, Mayfair, near Oxford Circus station, W1S 2XG. 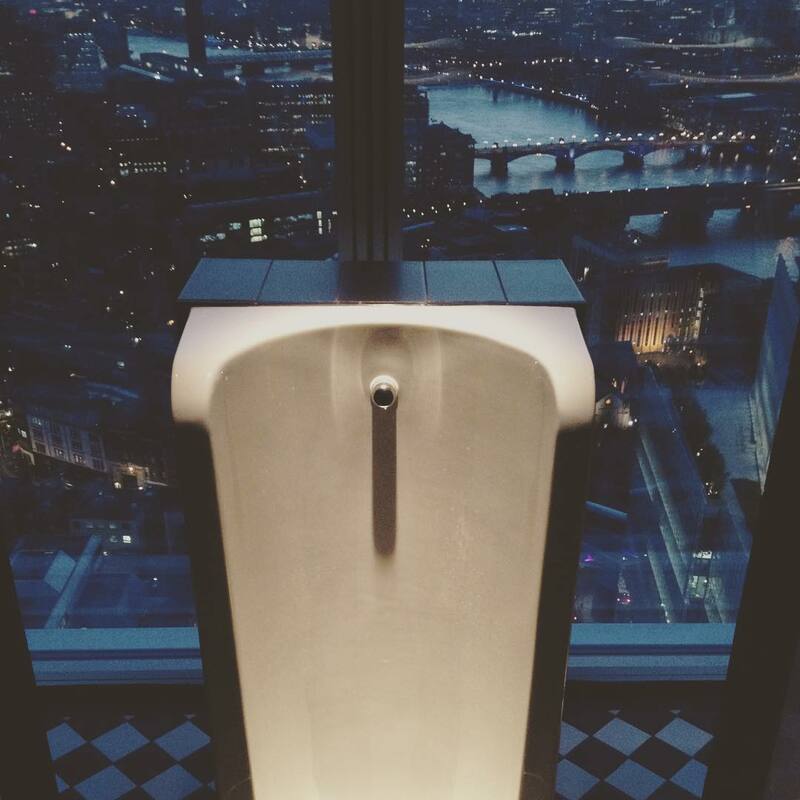 If you’re looking for the ultimate loo with a view, it doesn’t get much better than aiming into the Thames. Level 31 The Shard, 31 Saint Thomas Street, next to London Bridge station, SE1 9RY. 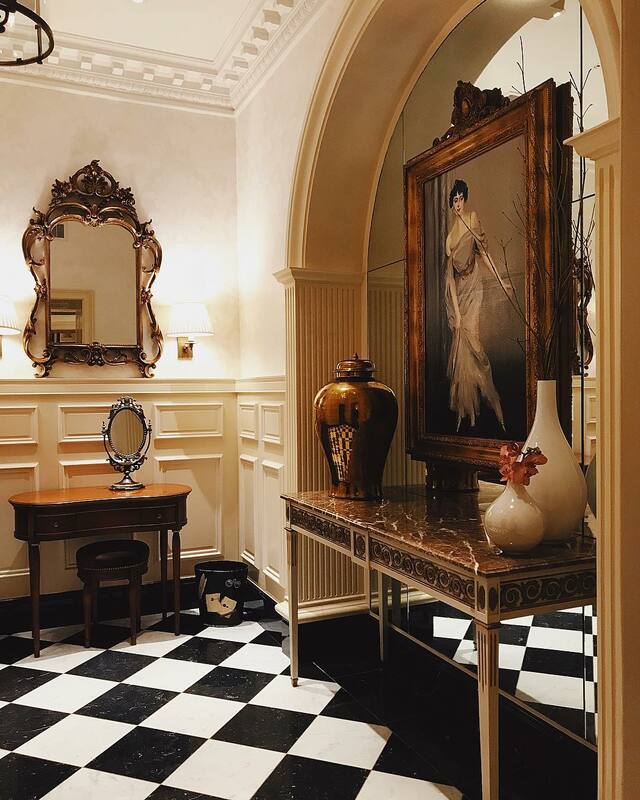 Annabel’s is an elegant private members club, for the famous and the fancy. 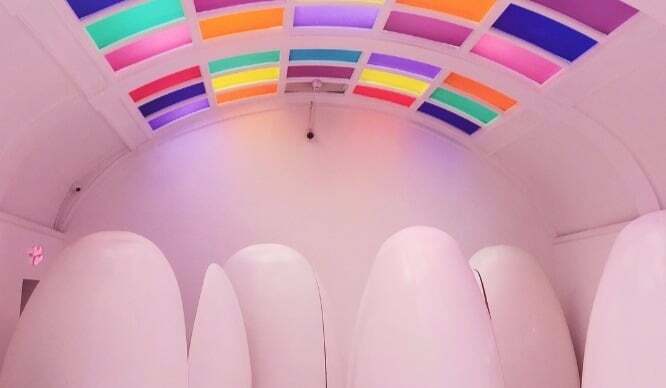 It’s the most beautifully adorned building you’ll probably (n)ever see in your life, and the toilets are just the beginning. Another fancy place serving fancy dim sum and playing fancy live music. 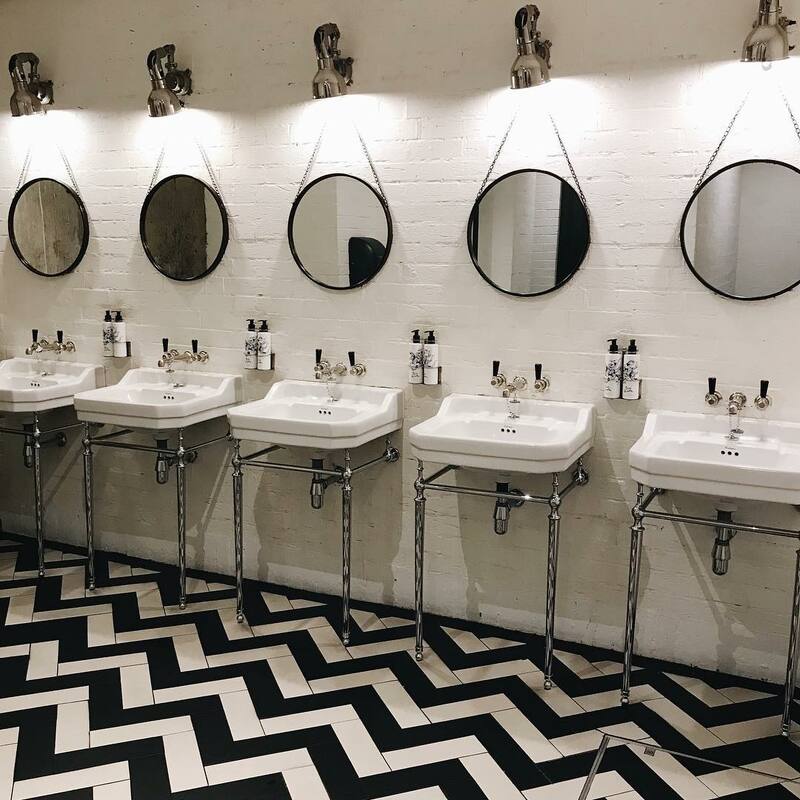 But, what we’re most impressed by is the taps. 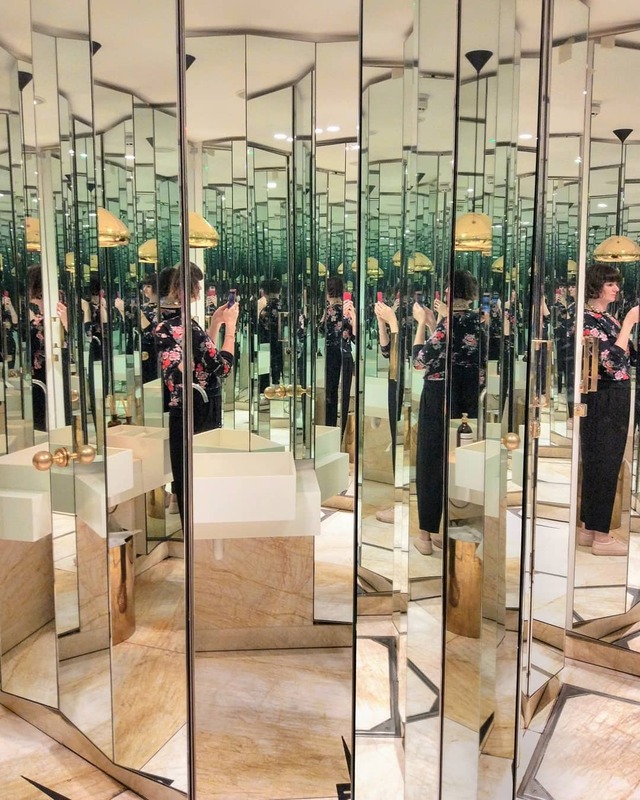 It’s like a Hall of Mirrors, except it’s actually the loo. Kind of terrifying, but great for a selfie. 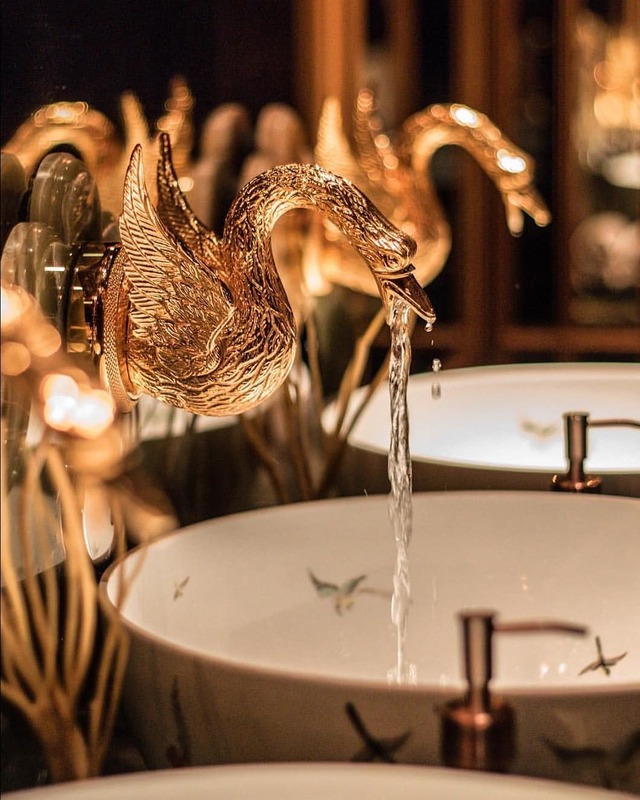 This might be one of the most luxurious loos you’ll ever have the fortune of waltzing into. The wallpaper! The lights! The floor! The handles! The attention to detail is outstanding. Restaurant Ours is a beautiful restaurant x cocktail lounge x terrace, and the interiors have to be seen to be believed. 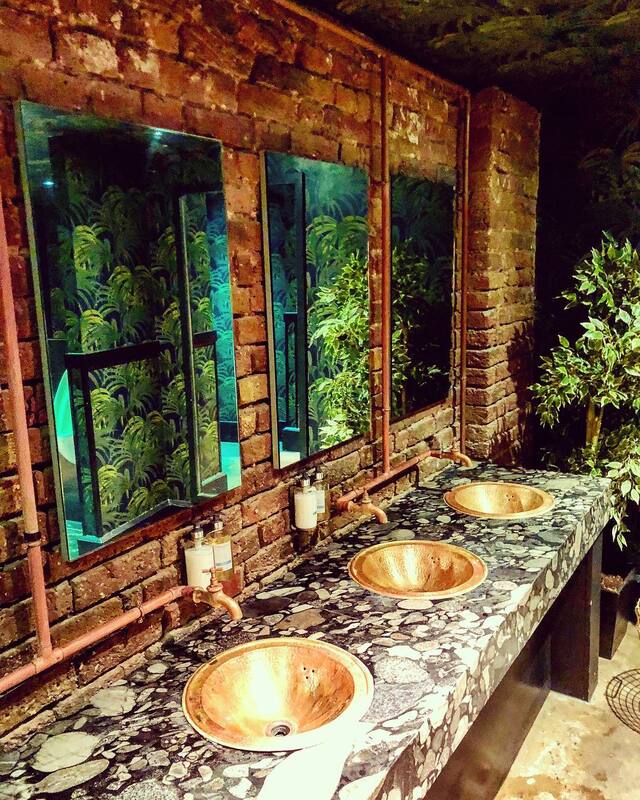 There are giant trees, neon signs, pink floral walls and these magnificent jungle toilets. Oh and I hear the food is pretty good, too. 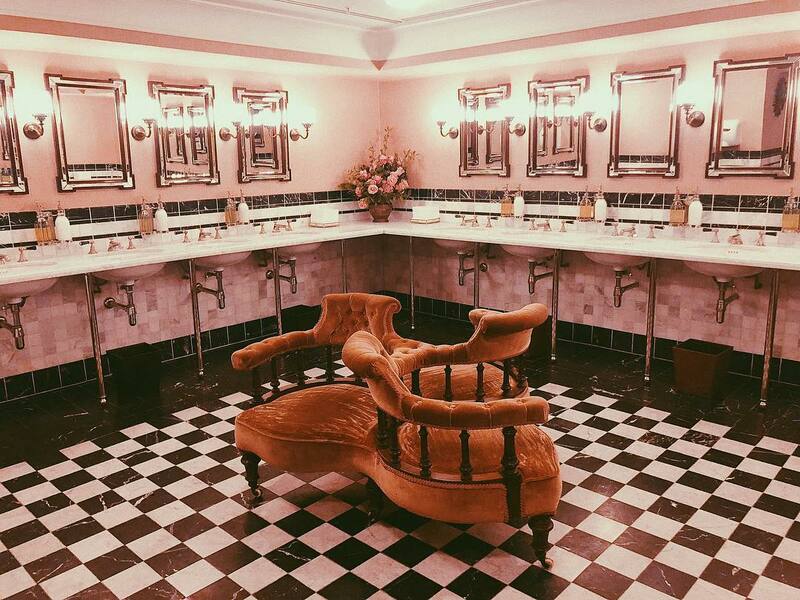 Isabel is one of the less pretentious Mayfair establishments, but that doesn’t take away from the pure opulence you’ll find in the bathroom. 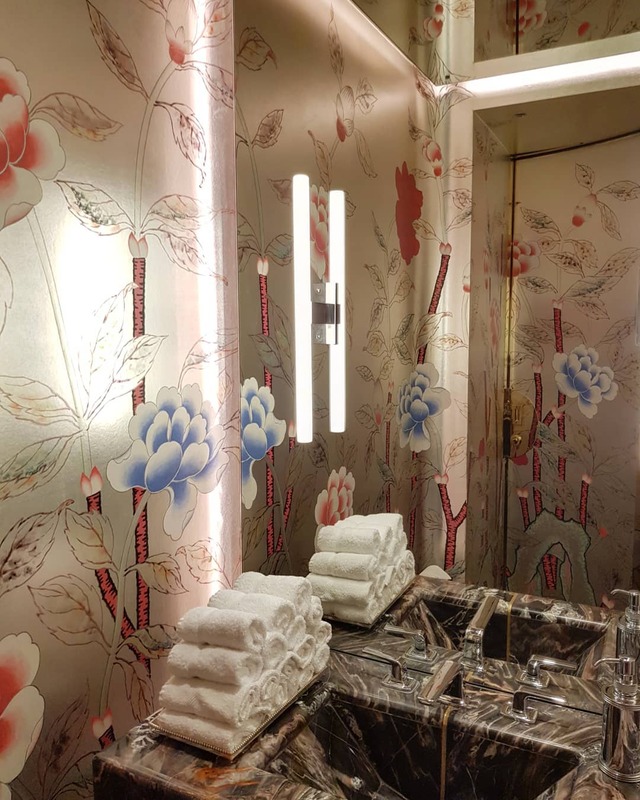 Each cubicle has a different hand painted wallpaper, designed by @degournay. Monochrome is Instagram’s friend, so The Hoxton and the ‘gram get on like a house on fire. 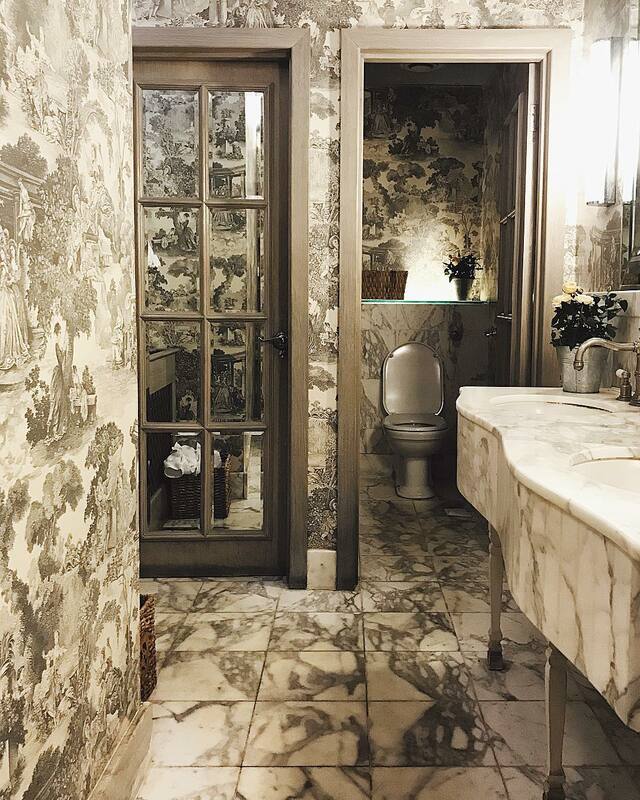 Famously considered one of the most romantic restaurants in London, Clos Maggiore is beautiful inside and out(side of the bathroom). 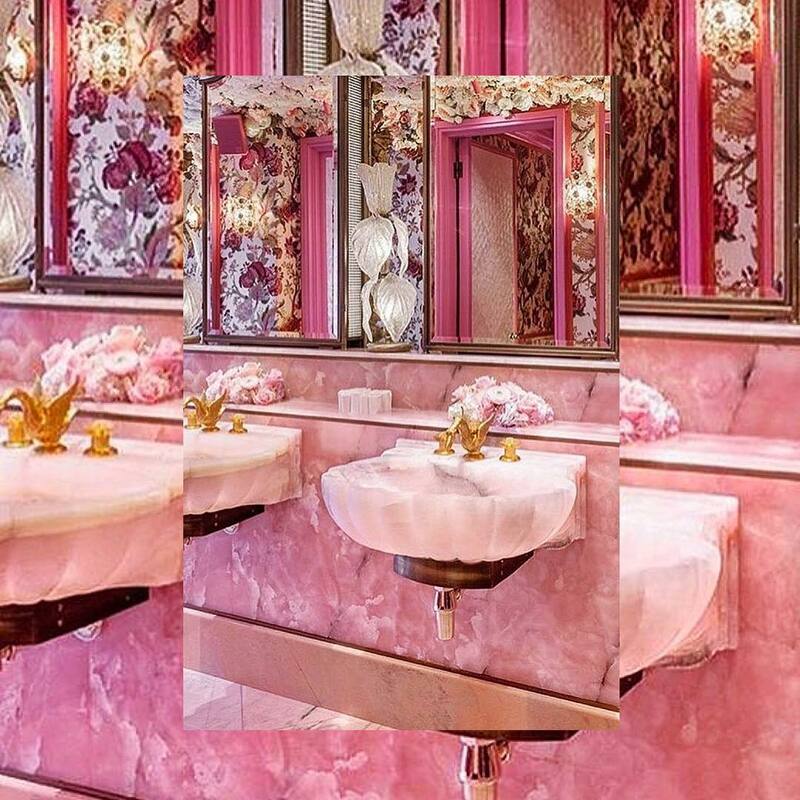 Filled with monochrome and marble, it’s the perfect place to powder your nose. We love this place and its stunning views, but the panoramic scenery doesn’t stop in the restaurant, oh no! 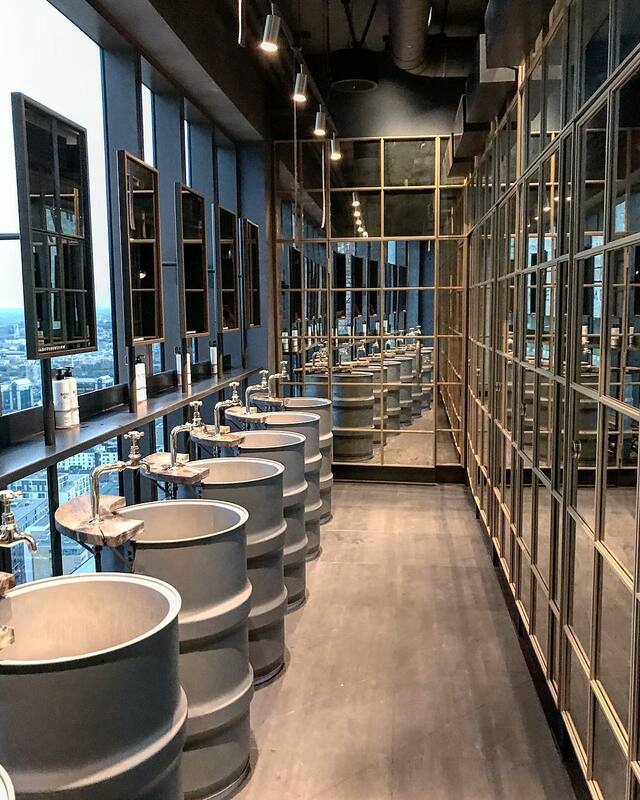 The men get a view from the urinal, while the girls get to take in London’s skyline whilst washing their hands. That’s luxury, innit. 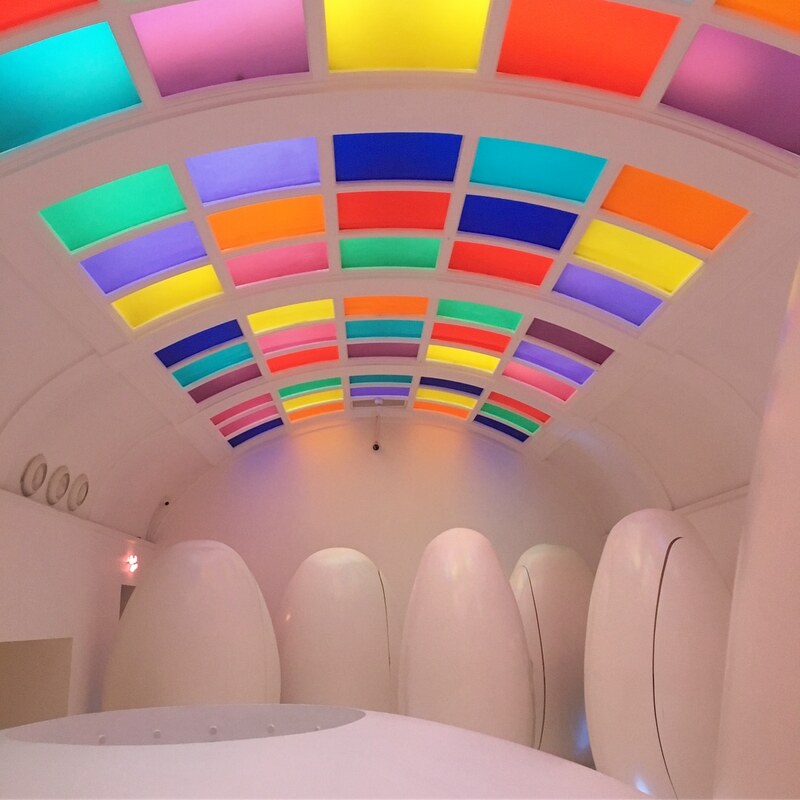 Famously one of the fanciest hotels in London… their toilets say that for themselves. 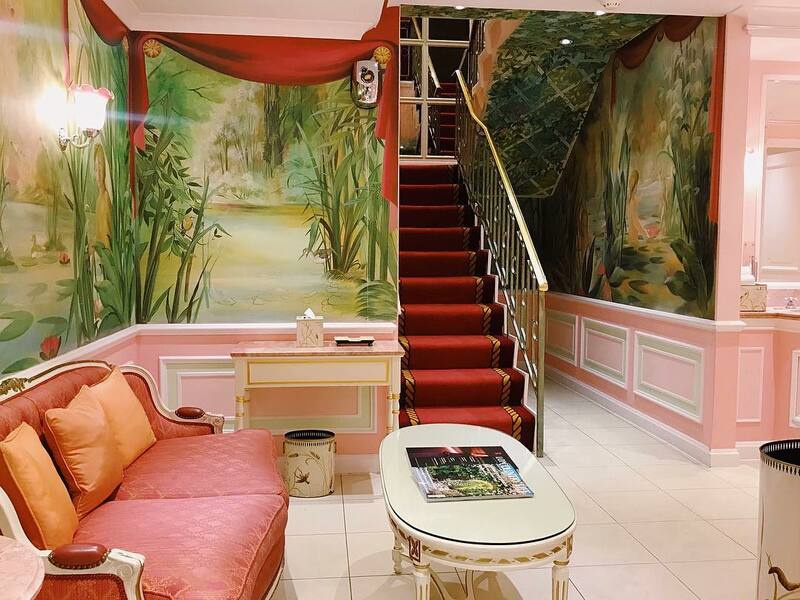 Think impressive murals of water lilies and plush seating for when you want to read Country Life magazine… in the loo? ? 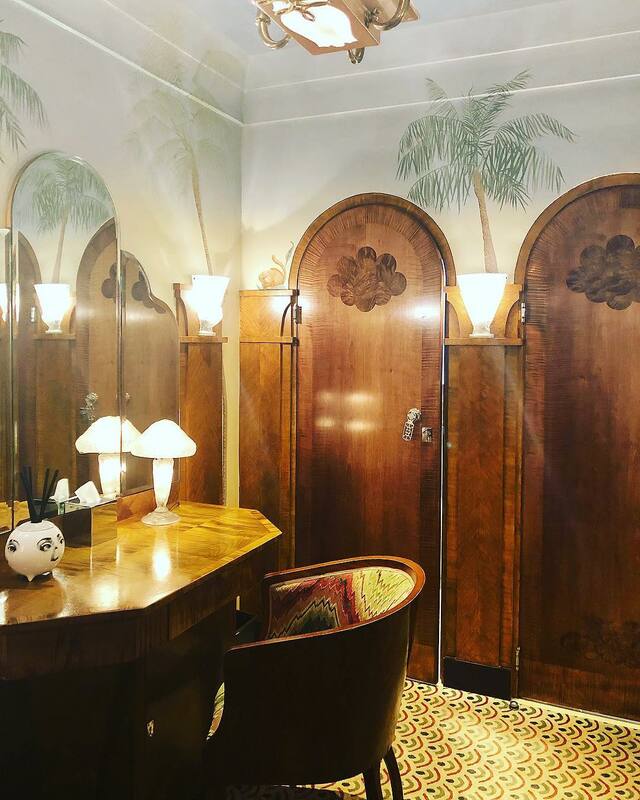 Another posh five-star hotel with beautiful toilets. A place where you’re pretty much scared to touch anything, but appreciate its grandeur from a safe distance.
? For more Insta-worthy moments, check out London’s prettiest streets ?